Paper packing machine can be used to pack paper. Packing paper can protect the paper and makes the paper look beautiful. Through paper packaging machine, you can add your logo on paper. It is a good way for promoting and popularizing product. With beautiful appearance, many customers would like to buy your product. Therefore, the machine plays an important role in manufacturing various of paper. We Beston Machinery is a leading manufacturer in paper machine industry. The tissue paper packing machine of our factory has good quality, high efficiency, competitive price, long service life time and so on. With toilet paper packing machine, you can pack the paper quickly and perfectly. 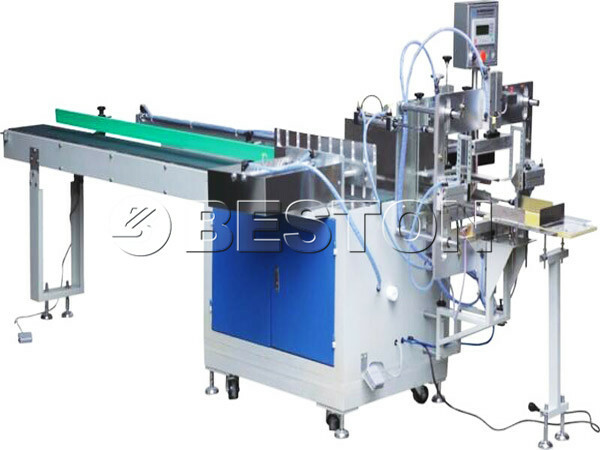 If you need tissue packaging machine, we can customize the machine for you. You tell me your demand in details. We can design the tissue packing machine according to your requirements. If you want to know more about the price, send us an email or leave your message on our website.